Around 200 demonstrators turned up at the Helsinki-Vantaa Airport on Monday night to protest against the deportation of rejected Afghan asylum seekers to Kabul. Police say that the demonstration proceeded peacefully, although two people were detained. 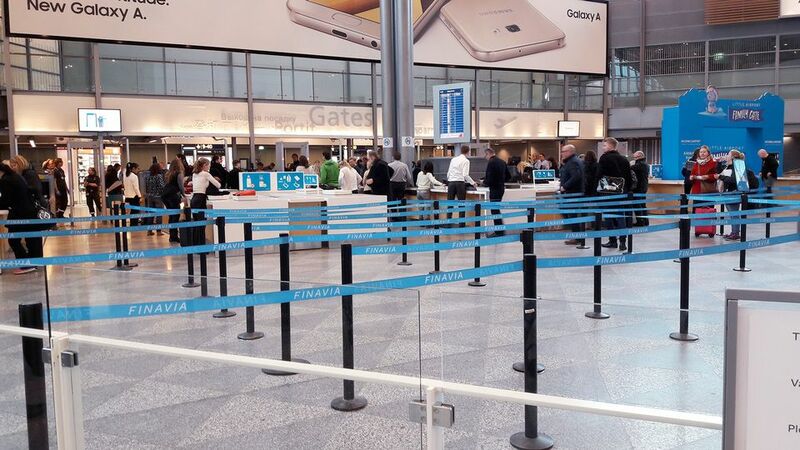 Activists protested at the Helsinki-Vantaa Airport new deportation flights returning rejected asylum seekers to the Afghan capital Kabul. Police said that about 200 people turned up for the protest action. The group said that a flight had been scheduled to depart for Kabul in the wee hours of Tuesday morning. The protesters called for an end to deportation flights to Afghanistan and Iraq. Officers from the Helsinki and Eastern Uusimaa police departments were on hand to supervise the proceedings. Eastern Uusimaa police said that they detained two people for refusing to follow police orders. The demonstrators had been protesting inside the airport and refused to go outside when directed to do so by police. Officers had previously said on Twitter that the protesters would not be allowed inside the airport, because activity that compromised the security of passengers and air traffic could not be allowed inside special international locations such as the airport. Police said that the demonstration proceeded peacefully otherwise. Earlier on Monday night, police removed demonstrators who had gathered in front of the Pasila police station. Officers claimed that the protesters attempted to prevent the free movement of police by measures such as sitting at the entrance to the parking hall. Law enforcement said that the removal of the protesters took place peacefully. In 2016 Finland tightened asylum guidelines for applicants from Afghanistan, Somalia and Iraq, making it much harder for them to obtain asylum. Over the whole year some 5,192 applications from Afghans were dealt with, of which 1,870 received a positive decision. The rest have been asked to leave the country.